Bladt and Semco will engineer and install the substation, with delivery expected by the end of 2016. 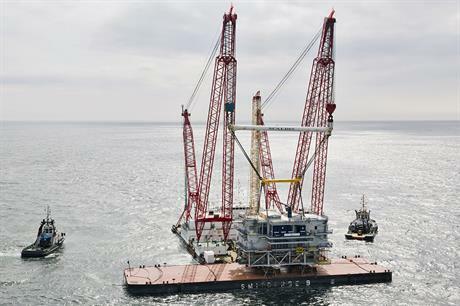 The two engineering firms have previously worked together on the Northwind, Borkum Riffgrund 1 and Nordsee Ost offshore projects. Bladt said it was also currently working with Semco on the Sandbank and Nordsee 1 projects. The Nobelwind project has also been known as Belwind II or Bligh Bank II. The 165MW project off of Belgium will use MHI-Vestas' V112-3.3MW turbines. It is located 45 kilometers from the coast, in the North Sea, and will sit beside Belwind I, which was completed in 2010. The project is being developed by a consortium made up of the Sumitomo Corporation and Parkwind NV. Sumitomo purchased shares in Belwind 1, Nobelwind and the 216MW Northwind site in 2013. All three developments will have used Vestas turbines. French manufacturer Alstom, is currently using the Nobelwind area as a test site, where it has installed a prototype of its 6MW Haliade turbine.